Pondering Buzludzha last night took me to another interesting abandoned site. I had no idea this place existed, let alone the dozens of other weirdly creepy ghost locations built in the last hundred or so years. This link explores odd little corners of the world. 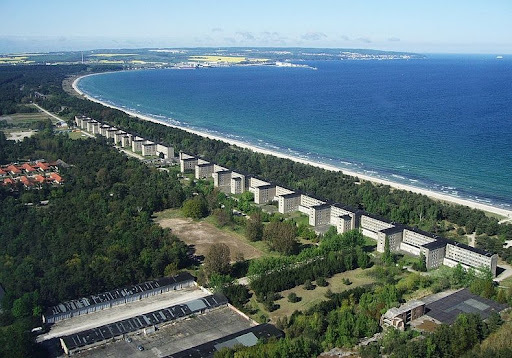 Hotel Prora was the brainchild of Nazi Germany. 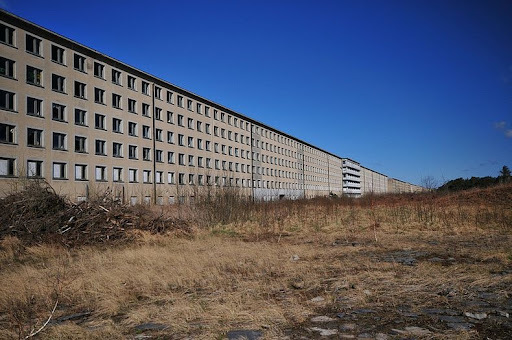 Hitler wanted a place for German workers to vacation, a place fuelled by Nazi propaganda; part of a programme called “strength through joy”. Starting in 1936, 9000 workers took three years to build the world’s largest hotel. Stretching over 4 Km. along the Baltic Sea, 10,000 rooms face the water in eight buildings; cookie cutter copies – exactly the same. 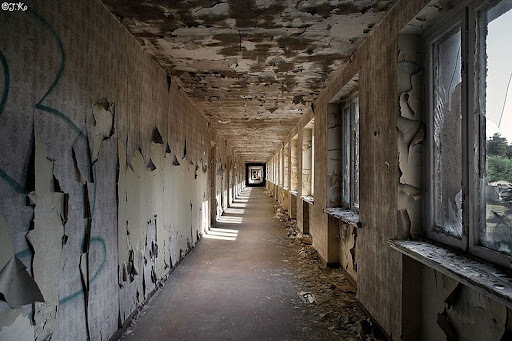 Things didn’t go so well – not a single guest registered at the front desk. 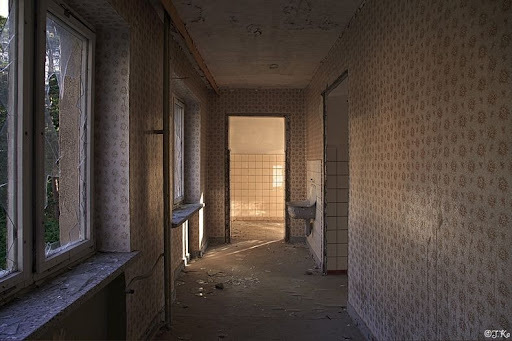 The place was abandoned; it housed some refugees after the war, small sections were used briefly by auxiliary female Luftwaffe personnel,the Military Technical School at Bundeswehr, and as an outpost for the East German army. 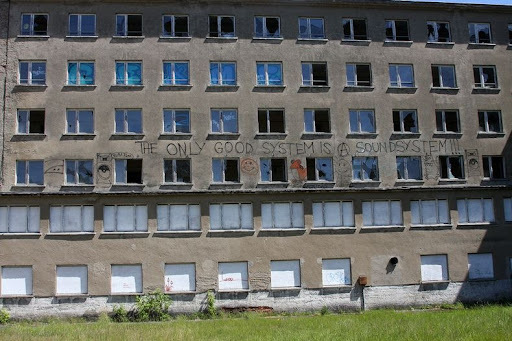 Aside from 400 beds converted into a youth hostel in 2011 – it sits crumbling and vandalized.